This was a fun book and a basic introduction to a wide range of classic science fiction films from as early as 1902 to as recently as 2016. I’m thrilled that three of my all-time favorites, Star Wars, Logan’s Run and Woody Allen’s Sleeper, made this list. Since I’ve already seen them multiple times, I will spend some time catching up on those movies I haven’t seen yet, those I viewed only once as a child, and those I enjoyed enough to see again. I’m also thrilled that there is a solid representation of foreign films. This book is sturdy, well written, and the photos are outstanding. I especially enjoyed the “Far-Out Facts” and “Mind-Blowing Moment” sections. During one of the most intense scenes in The Fly, Vincent Price and Herbert Marshall kept laughing during the filming. A few years after the release of A Clockwork Orange, Malcolm McDowell was introduced to Gene Kelly at a party. Kelly looked at him and quickly walked away. As if that wasn’t enough, McDowell also suffered an eye injury from the metal eyelid clamps he had to wear. This is just a minor complaint, but I would have liked a little more in-depth analysis of the films. As it is, the book is perfect as a short introduction to the films within. 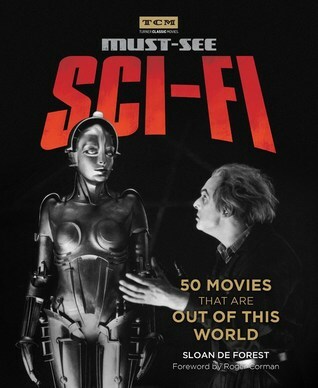 Recommended for classic movie and science fiction fans.